Law, especially in Louisiana, is a complicated matter. That’s why I spent several years in law school, and why having a good lawyer matters. But just when do you need to call a lawyer? How can you know for sure? Here are three easy litmus tests anyone can apply to determine whether it’s time to lawyer up, regardless of the issue in question. Do you feel comfortable dealing with this situation alone? If not, for any reason: be that lack of legal knowledge, a sensitivity of subject, or complexity of charges, it’s best to speak to a lawyer. It’s possible that after a free consultation with a skilled attorney, you’ll know whether there’s cause to pursue the issue, and if so, what the likely outcome would be. You’ll also learn how that lawyer may be able to help. If the answer to this question includes anything like “lots of money,” “career/family/good name,” or “freedom,” then it’s time to lawyer up. Paying for an accomplished attorney up front could actually save, or even make you money, in the long run—especially in complex matters where decisions may hinge on technicalities. Does the other side have a lawyer? If so, then you should, too. It’s that simple. You will have a disadvantage without one, regardless of the issue. While there are many issues that don’t really require a lawyer, such as minor traffic issues, expert hands are best for handling many legal matters. The following checklist distills eight specific scenarios for when you should consider hiring a lawyer before you appear in court. – composing and/or entering into a legally-binding personal or commercial agreement or contract. If any of these scenarios apply to you, contact Magee & Associates to schedule a free consultation. 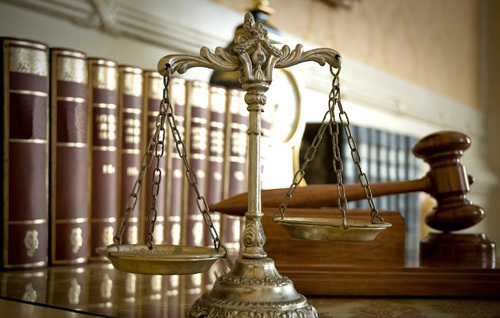 We know Louisiana law, and we can represent you in court should you decide to proceed.